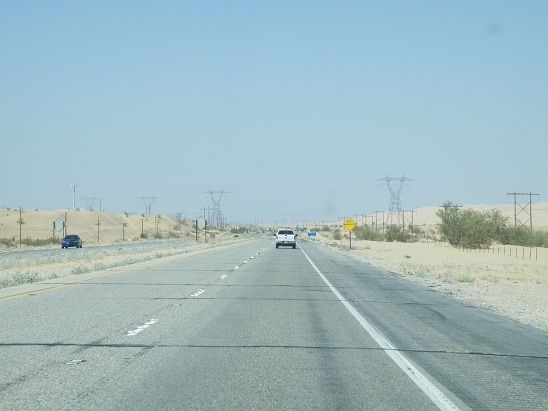 Today we moved from Yuma, Arizona to the Coachella Valley in California. (This photo: date retail shop, Bard Valley). 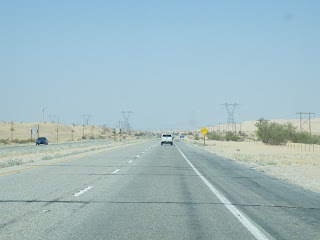 We drove through some fascinating country including the Imperial Dunes - rolling white sand dunes - where some of the Star Wars movies were filmed. 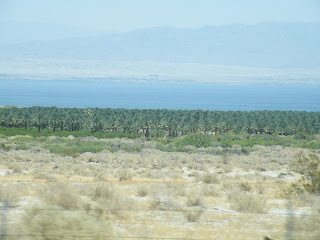 In the distance we could see the fence of the Mexican border. 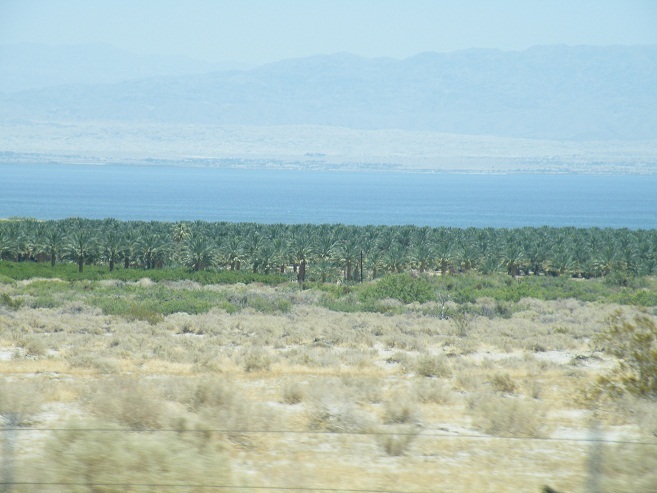 Date gardens came into view as we drove along the inland Salton Sea. 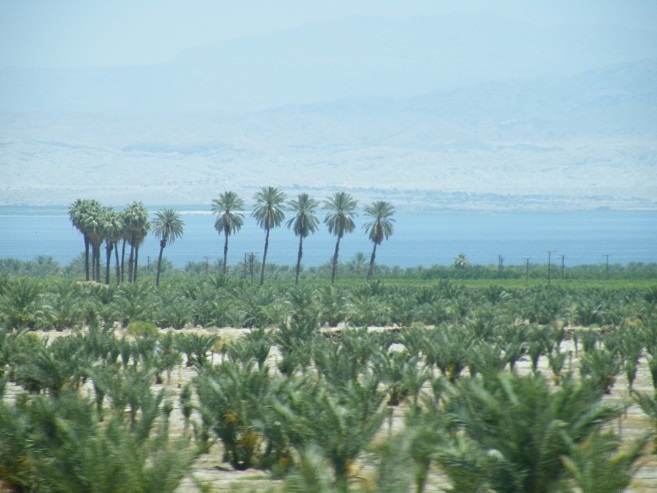 Date production in the Coachella Valley differs from the Yuma area. In Coachella the major date variety grown is the Algerian variety Deglet Noor which makes up approx 70% of all plantings. 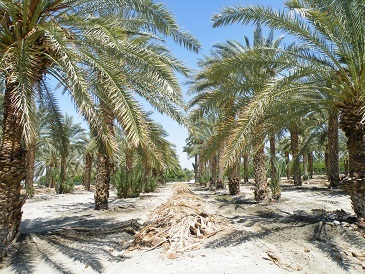 This variety also differs in appearance to the Medjool. 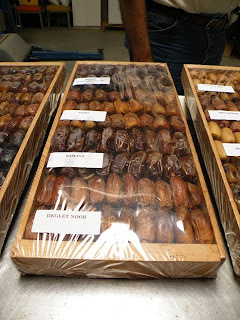 Other varieties grown include Halawi, Thoory, Zahidi, Khadrawy, Honey, Black Sphinx and Tarbazal. 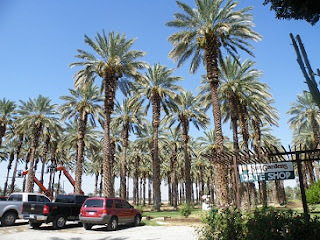 In total there are approx 8000 acres of dates grown in this area. 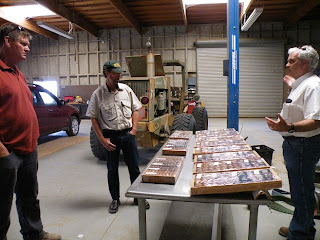 Glenn took us to the USDA date collection at Thermal and introduced us to Vince. 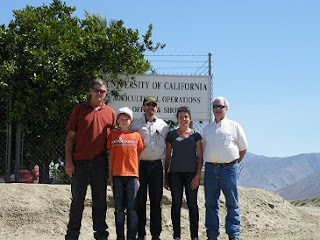 It was a very special experience seeing this collection as we have collected a lot of information over the years and read a lot on the work of the USDA. 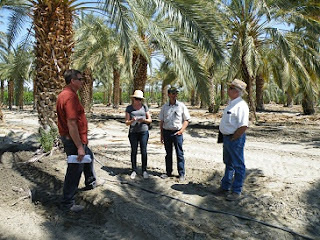 We actually got to see palms which the likes of Nixon and Carpenter had bred and we discussed results on the various varieties. Tasted an enormous amount of different varieties that we hadn't tried before and looked at some of the equipment used for pruning and offshoot removal. 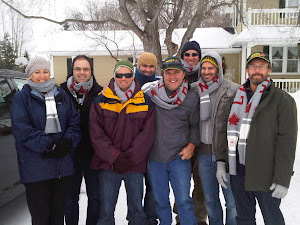 Vince, Jonte, Dave, Anita & Glenn. This research centre at USDA is also a large citrus research station with many varieties.